Yes! Yet another Soundwave Festival sideshow for you hard music lovers. Details have just been released on Fallin In Reverse joining with Escape The Fate with special guests The Color Morale. Falling In Reverse Front man, Ronnie Radke was also named one of the 100 Greatest Living Rock stars by Revolver Magazine and one of the 50 Greatest Living Rockstars in the World. Marking them as gain such success and a killer live performance you should not miss out on. 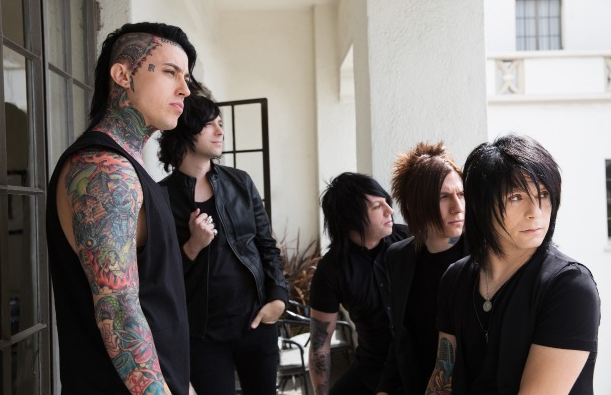 Escape The Fate released an edgey album ‘Ungrateful’ that has help define them as a ever growing musical force and have been named Artist of the Year in 2012 by Alternative Press. With special guests The Color Morale finishing up such an epic collection. They will bring their ripping riffs and charater to the stage to get you warmed up for what will be an explosive night! They will be playing one off sideswave in Melbourne at 170 Russell Street and in Sydney at Hi-fi.